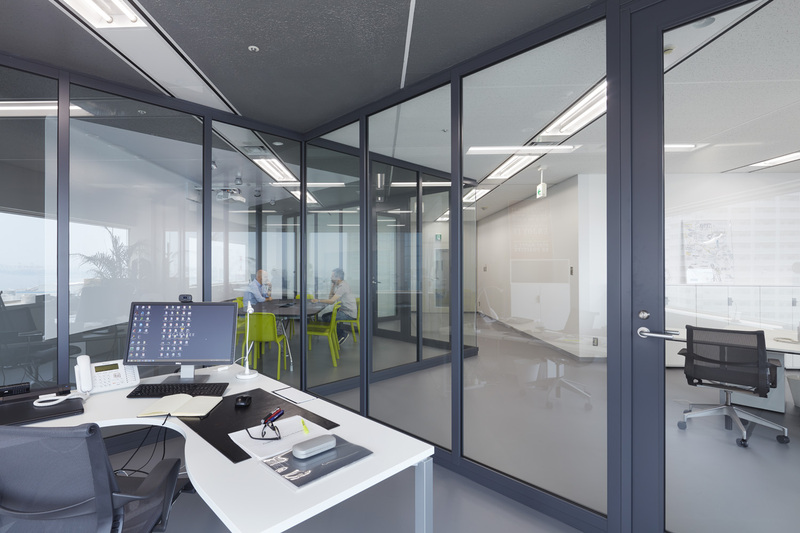 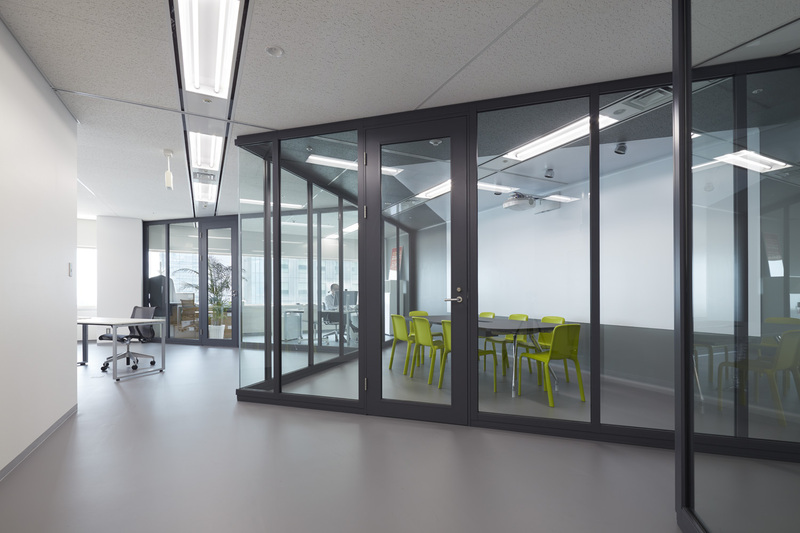 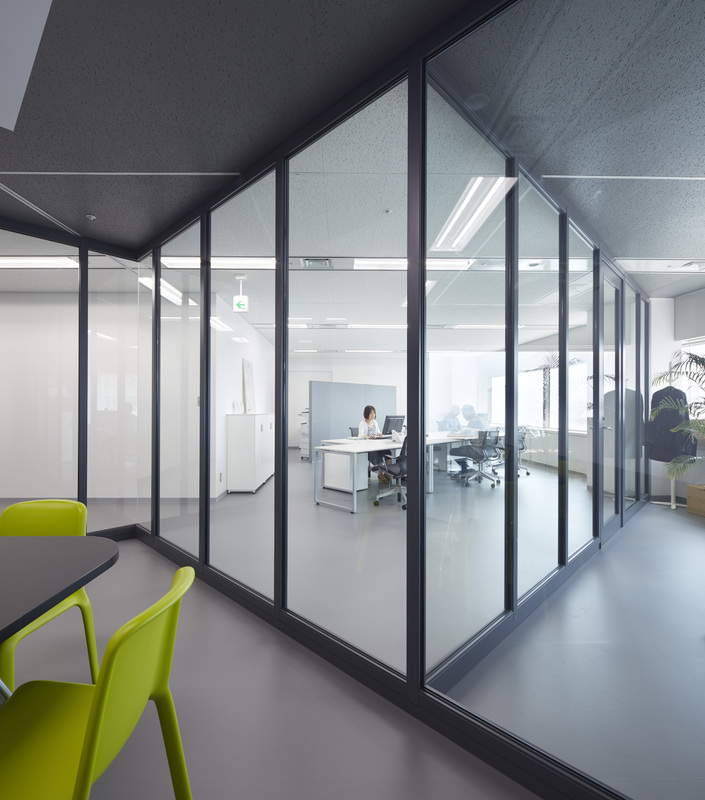 An office interior for Scarabee, an airport security and automation company based in Holland and extending their presence to Japan. 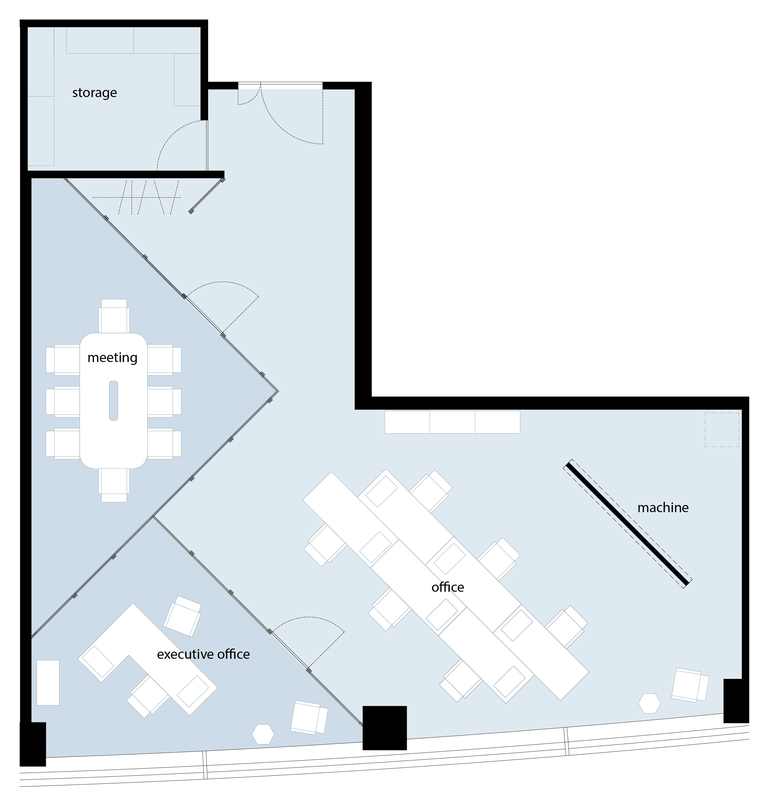 Their office space has an awkward L shape plan that was resolved simply by dividing the room with diagonal partitions. 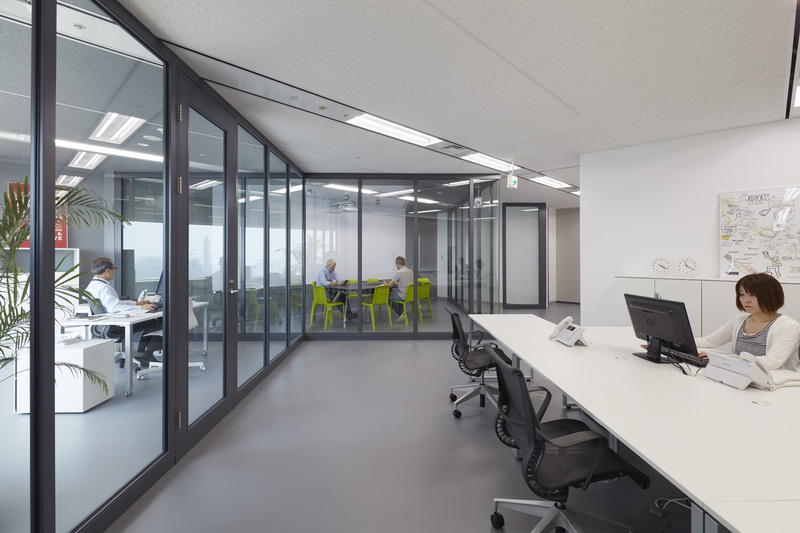 Though it is around the corner of the "L", the shared space that was created from this gesture is visible from the entrance, and connects to the conference area and Manager's office - making for a transparent composition that is highly functional and comfortable.